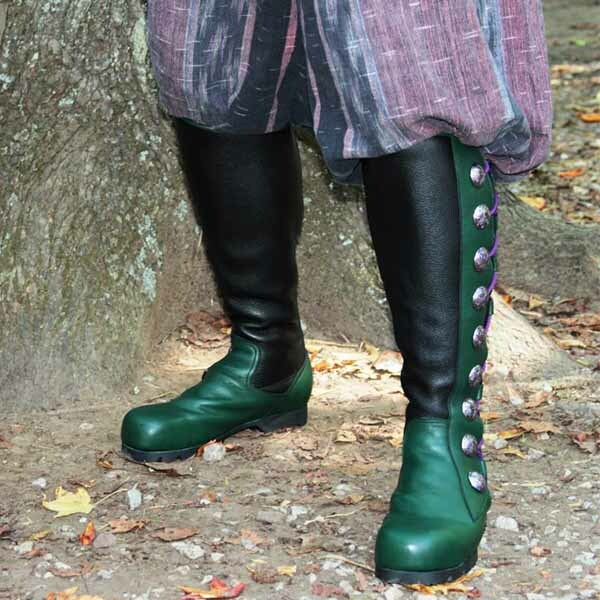 The Nine Button Boot is our most popular design for its style and fit. 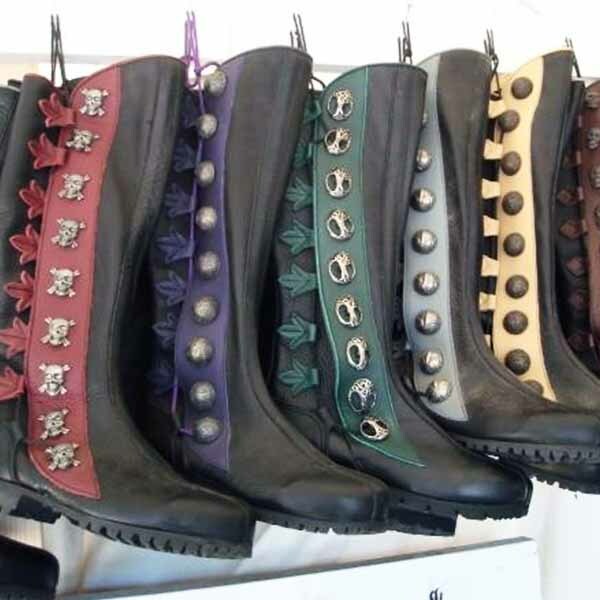 This handsome leather boot brings a new upscale quality to your garb by adding color variations and hardware to your feet. 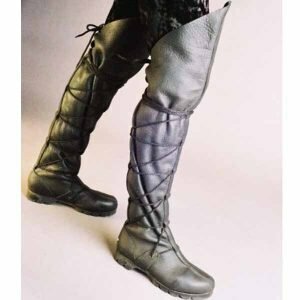 The leather upper wraps around the calf, tapering to offer a finely fitted boot that can adapt to a wide variety of calf sizes and leg shapes. 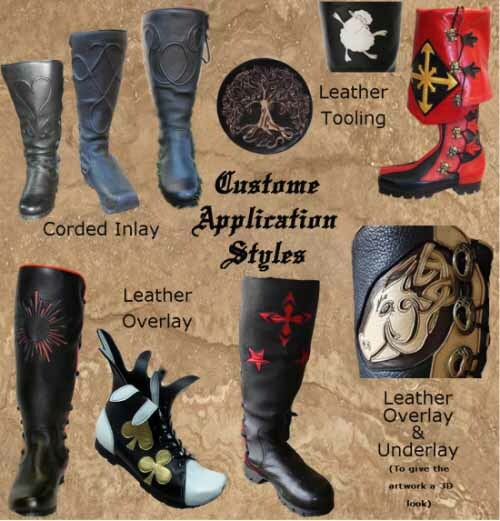 Through this unique design, you can have the look and feel of a custom fitted boot. 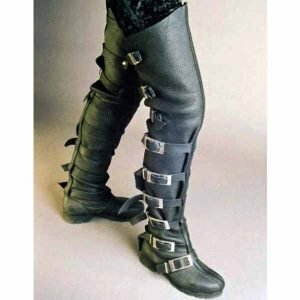 Enjoy comfortable boots in the long days of walking at a renaissance fair through rough terrain, gravel, mud, and rainy days. 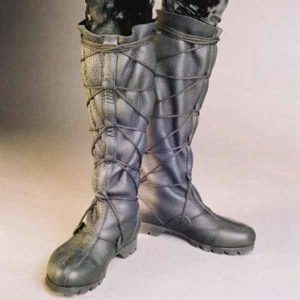 Lace loops on the back side of the boot. 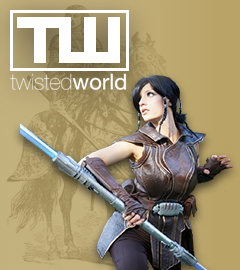 Custom options available for an additional cost. The Nine Button Boots are crafted with the finest of materials and feature premium bull-hide leather upper. They are offered with a carbon fiber midsole with a mated twin riveted steel shank for extra comfort and support. 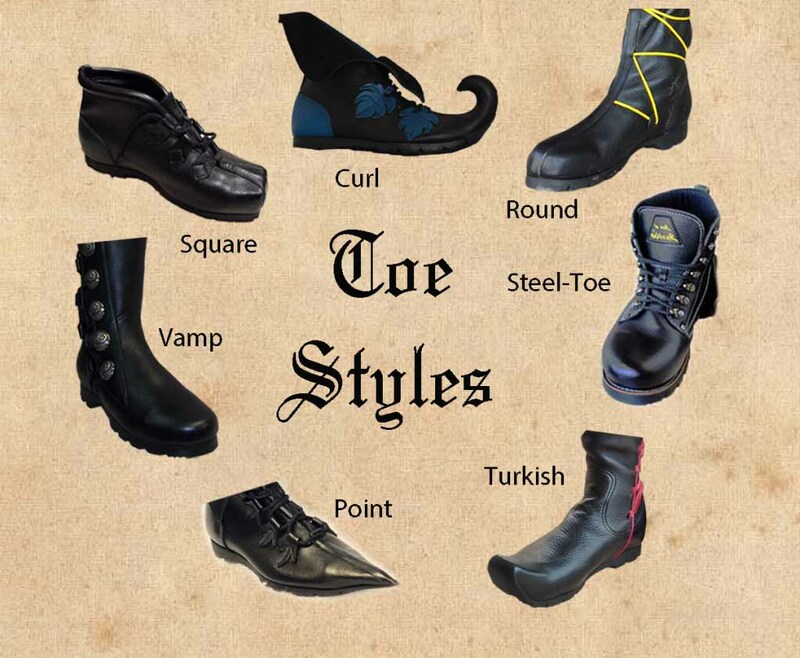 The box toe and heel counters re-reinforce the shape of the leather to preserve the form of the boot for many years to come. They boast custom cast buttons that sit on a trim that is offered in a variety of accent colors. 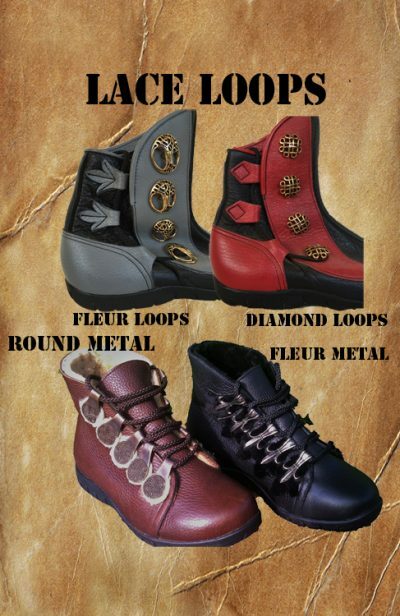 The lace loops on the back of the boot are available in a Fleur-de-Lis or a Diamond pattern. 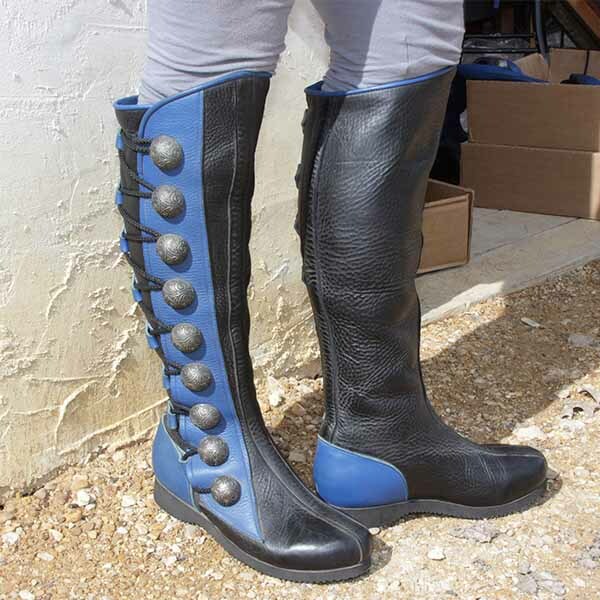 Our boots are available with any of our specially design premium rubber soles. 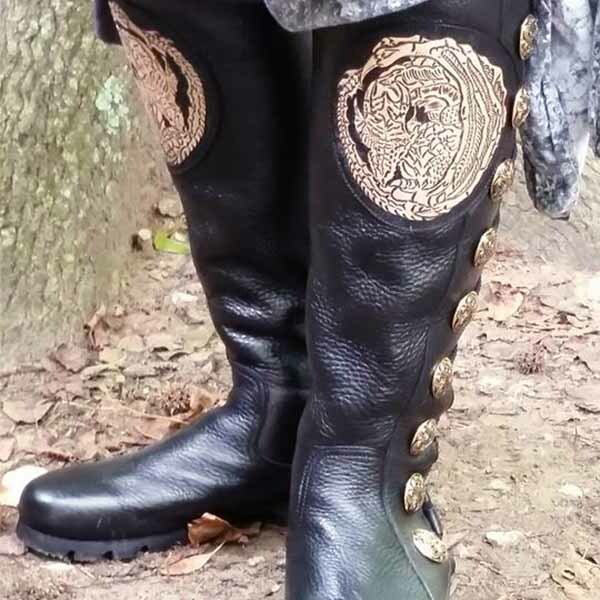 These boots are crafted of the highest quality materials and offer the finest in footwear and leather boots available at any Renaissance Festival, SCA event, LARP, Celtic gathering, convention or Steampunk event.